Never leave jewelry on the edge of a sink they can very easily slip down the drain. When cleaning your own jewelry, it is important to remember that precious metals like gold and silver are susceptible to damage from exposure to chemicals found in many household cleaning agents. These and other common chemicals, such as chlorine found in most pools, can also damage or discolor gemstones. Clean your jewelry and colored gems with warm water, a soft brush, and use only a mild soap (no detergents) if at all. A water pick or toothpick may be used to clean the hard to reach places, while a soft, lint-free cloth works well for drying and polishing. And of course, be sure to close the sink drain before cleaning. Use a soft polishing cloth to clean your pearls and gemstone jewelry chemical paste, liquid and bath cleaners are too harsh. Aquamarine Do not use an ultrasonic cleaner use only soap and water. Avoid heat as it may cause discoloration. 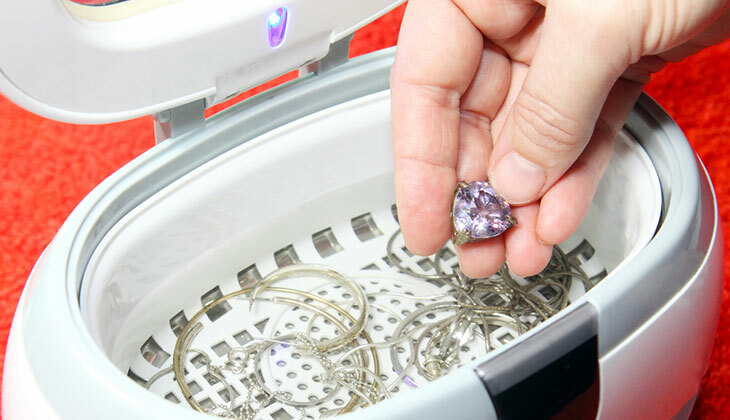 Tanzanite Do not use an ultrasonic cleaner use only soap and water. Be careful to avoid sharp blows or sudden temperature changes. Topaz Do not use an ultrasonic cleaner use only soap and water. Be careful to avoid sharp blows or sudden temperature changes. Tourmaline Do not use an ultrasonic cleaner use only soap and water. Be careful to avoid sharp blows or sudden temperature changes. Turquoise Do not use an ultrasonic cleaner use only soap and water. Do not expose to ammonia or chlorine, and avoid prolonged exposure to heat (turquoise is susceptible to cracks when heated). Today I took my cousin Randy in to Nacol’s as a 1st time customer and he is so excited about his new Tag watch that he bought, thanks Habeeb for the great deal…you and Charles Jr are the best…love Nacol’s! Took a couple links out of my Seiko and charged me NOTHING!! Looked at my Brighton watch for free and told me what it would cost to fix it. Very reasonable. A hidden gem of Beaumont. 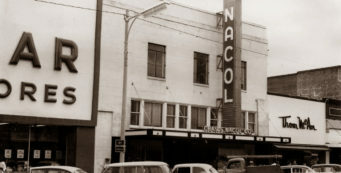 If you want the best in Jewelry, go to Charles S. Nacol Jewelry Co. 4320 Dowlen Rd. Beaumont, TX. I guarantee you will receive the best treatment and service there is.